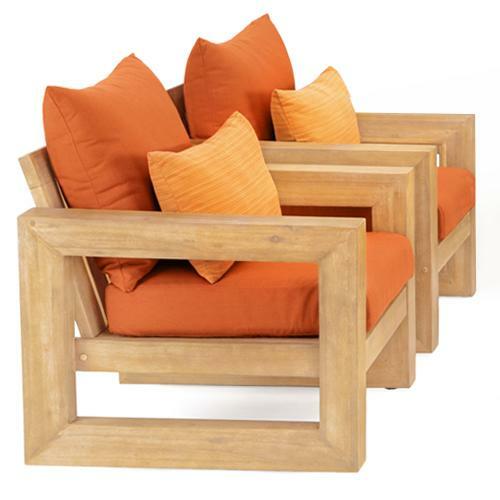 Give your guests something stylish and durable while they socialize and mingle, with our Benson 8-piece set featuring comfortable cushions housed in sculptural acacia wood frames. Our weather-ready cushion covers are available in an elegant assortment of designer colors, so you can pick a color scheme to compliment your space. 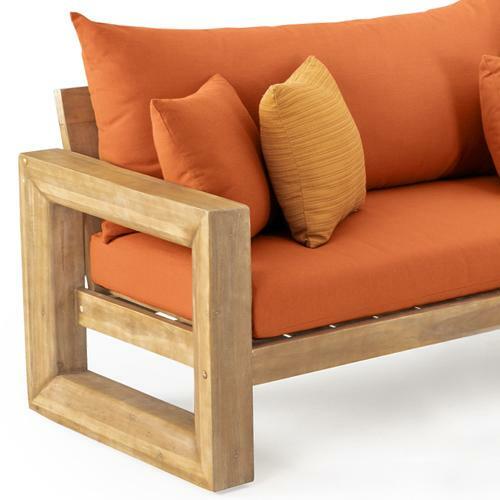 The covers are very simple to clean for those immanent spills, and the acacia wood frames are sustainably harvested, so you can take pride in your furniture investment. 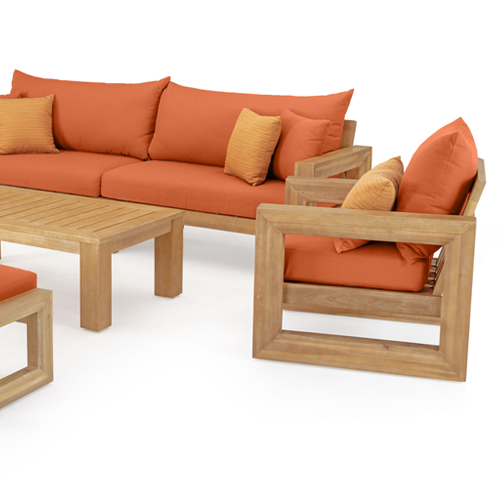 Includes a two-piece sofa, two club chairs, two ottomans, and a coffee and side table. 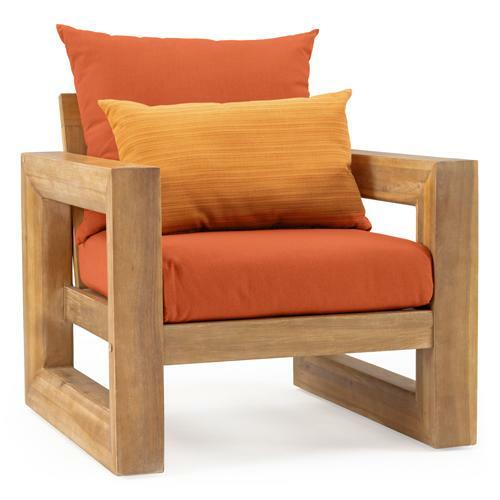 Seating height (with cushion): 17 iin.